The EA monitors the closing price of the recent candle and its distance towards Moving Average Line. If the price has been stretched too far from the MA. The EA will place a market order towards the direction of the MA. 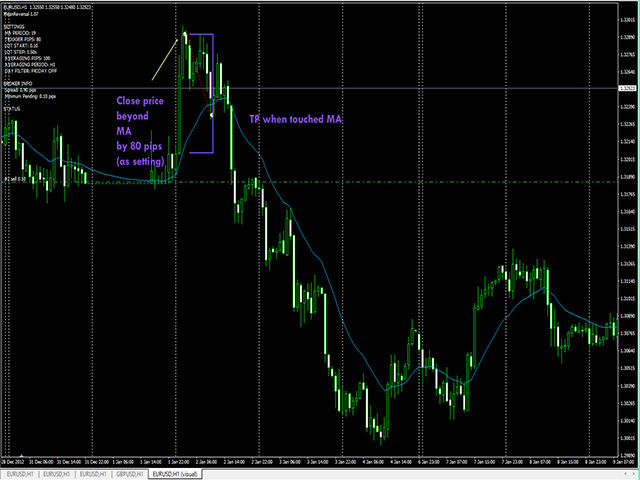 For an instance, if a candle is closed above MA more than 80 pips, the EA will open a Sell Market position. 1. The first position goes directly towards MA line and touches it, triggering an exit by the EA in profit. 2. 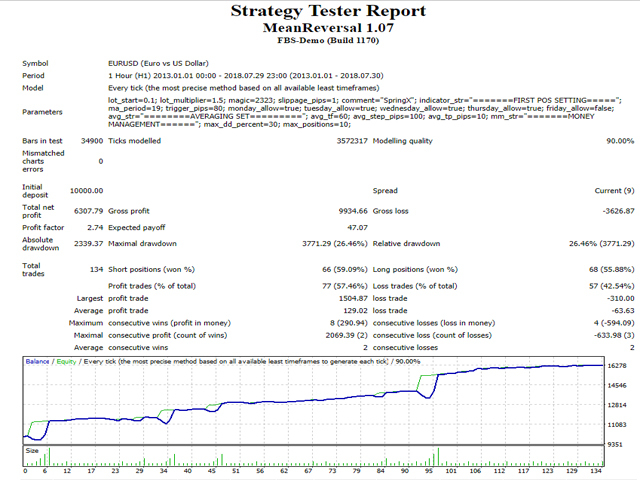 The price goes again the direction of the first position, and the EA averages the existing trade at predetermined minimum pips; for example 100 pips.